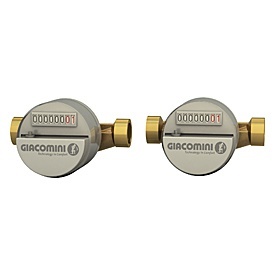 Direct energy metering | Giacomini S.p.A.
To ensure greater efficiency for the building/system and the reduction of polluting emissions, the centralised heating system is once again becoming popular in the new condominiums. Each condominium, however, wants to manage ON/OFF times and comfort temperatures autonomously, paying only for what has actually been consumed. To meet these needs, we've produced a complete series of solutions for directly metering thermal energy. Together with individual thermoregulation, they allow you to combine the advantages of a centralised system with those of an autonomous one. The GE555 user modules allow the direct metering of thermal energy for heating and air-conditioning, and of hot and cold sanitary water, in centralised production systems. The GE556 user satellites allow the direct metering of thermal energy for heating and air-conditioning, and of sanitary water (where hot sanitary water is produced locally by the individual user). 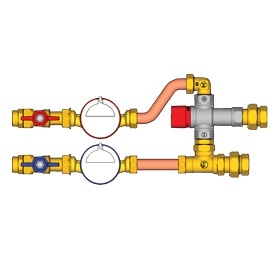 The GE550 units allow the metering of hot and cold sanitary water. They therefore complete the GE555 user modules. 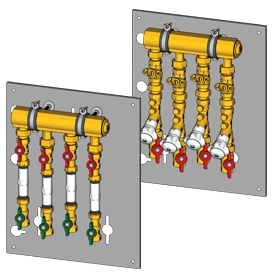 There is also a special version for metering service water in buildings with dual water distribution networks. The GE550 units for heating and air-conditioning can be used to create personalised user modules, in situations where the standard GE555 versions cannot be used. The pre-assembled units and groups can be installed in purposely created niches or in the GE551 metal cabinets and frames. There is a wide range of accessories (to be ordered separately) for achieving the ideal module for the specific needs of a single building or system. GE552 is the family of meters for the direct measurement of energy consumption in centralised systems with zone-based distribution. All the GE552 energy meters are of the double register type, so they can measure both the heating energy and the air-conditioning energy. Concentrator devices that regularly interrogate all the metering devices in order to collect the specific consumption data. In this way, the data reading operation is quick and easy, and can be performed at any time (even if the inhabitants are not present). Possibility to meter service water or dual water supplies. 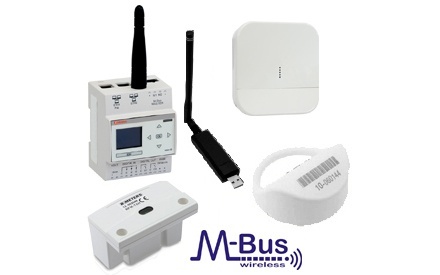 Equipped with energy meters that comply with the European Directive on measuring instruments (2004/22/EC or MID Directive) and suitable for the centralisation of consumption data in accordance with the M-BUS standard (in compliance with EN 1434-3). 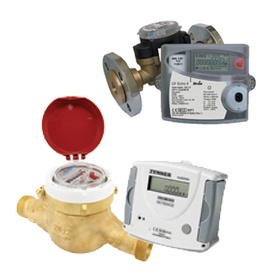 Use of GE552-2 sanitary water meters, MID certified (Directive 2004/22/EC) and suitable for the centralisation of consumption data in accordance with the M-BUS standard or the wireless M-BUS standard. Supplied with plastic spacer for assembling the meters after the system rinsing phase, adapting the installation to the worksite conditions. Possibility of local consumption data reading, or remote (via centralisation devices).